MOST OF US ARE SUFFERING FROM VARYING DEGREES OF CHRONIC STRESS! THIS CREATES SKIN STRESS! How much skin stress we carry is determined by our stress levels; the food we eat; our alcohol consumption; how much sleep we are getting; as well as our exposure to environmental stresses such as sun, pollution, dry air, day to day chemicals, toxins and smoking. Stress is one of the greatest ageing factors for our skin. The long-term impacts of daily stress show up on our faces and bodies, causing us to look older than we are. At a physiological level, when we feel stressed, our adrenal glands release cortisol, which decreases our skin's natural production of hyaluronic acid. As a result skin loses elasticity; repair enzymes don't work as well, wrinkles form easily and the skin ages prematurely. Adrenaline brought on by stress means that blood flow to the skin is decreased, robbing it of vital nutrients, including oxygen. Less oxygen creates sluggish circulation, a dull complexion and aged looking skin. Environmental stresses such as sun damage, toxins, pollution, day to day chemicals and smoking will all dry and age the skin. Boston dermatologist Dr. Ranella Hirsch says, "There are very few skin conditions that stress doesn't exacerbate: […those that stress does impact include…] dryness, acne, rosacea, eczema, sensitivity, redness, and wrinkles". We can help balance the day-to-day impact of stress and ‘age less' by feeding our skin the right active, skin strengthening vitamins and minerals. This supports skin to look younger for longer. 1. 'GET SKINFIT' SEMINARS TO COUNTERACT STRESS & HELP YOU TO LOOK YOUNGER, FEEL YOUNGER & STAY YOUNGER! 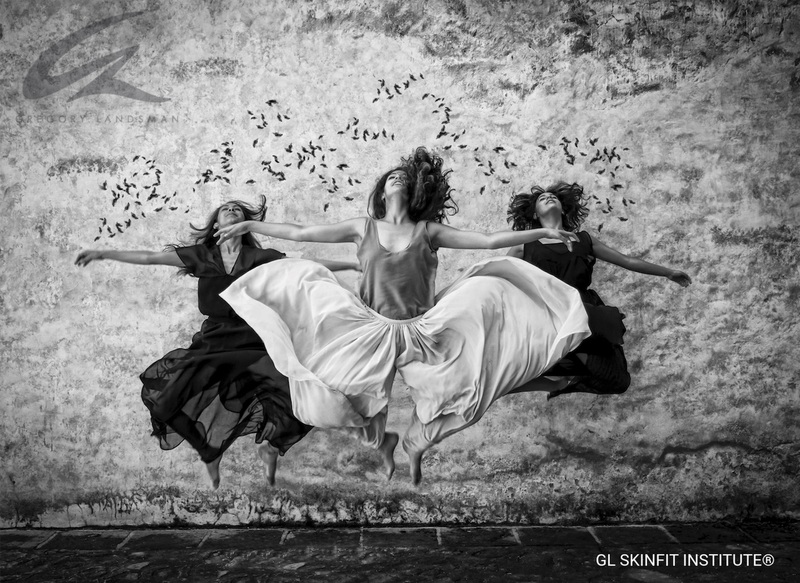 'GET SKINFIT' SEMINARS are held at various times and locations globally. If you are intested in hearing more contact us here. 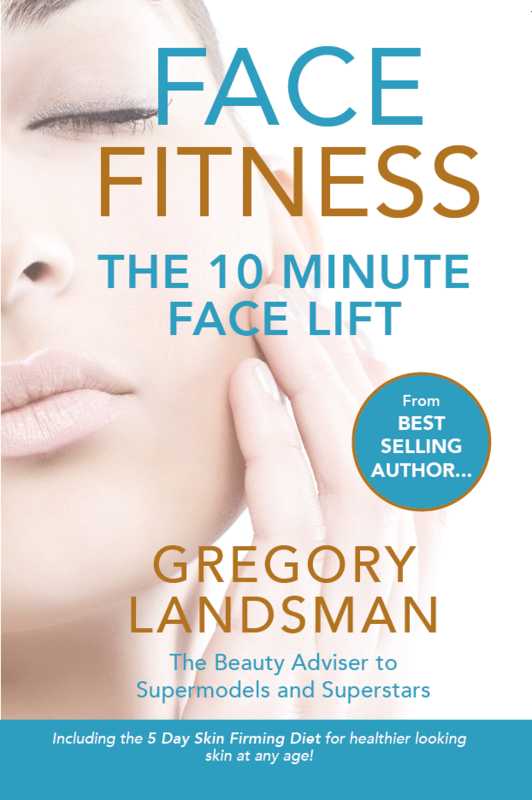 Best selling author Gregory Landsman has written a series of books on how to look and feel good in your skin at any age naturally. These include Face Value; Face Fitness; Face Food; Face Secrets; and Faith Lifting Prayers. To find out more about Gregory Landsman's books visit Amazon. 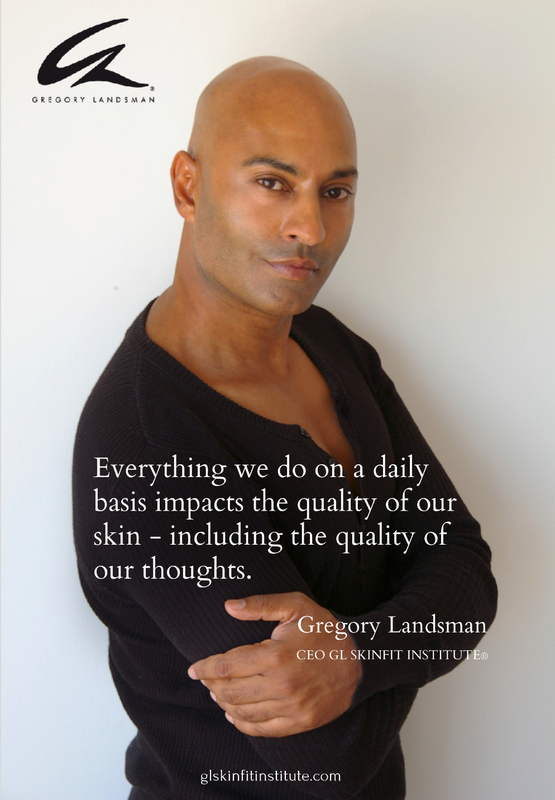 As a formulator of best selling products for the beauty industry over many years, Gregory Landsman has worked with chemists across the globe to develop skin-building, vitamin-infused treatments that can help de-stress the skin and have a profound effect on the texture and quality of skin at any age. It is for this reason that we combine world class products with the ancient techniques of breathing; facial massage and pressure points, and good skin-food in programs aimed at genuinely helping every person to look younger, feel younger and stay younger from the outside in and the inside out. The GL Professional Treatment Range is used in clinics to support the maintenance of healthier, younger looking skin. Research on GL Professional Products has been conducted with 150 men and 200 women based on self-evaluation 2017/18.